Calhoun’s farewell address (Parts: 1, 2, 3, 4, 5, 6, 7. Full text.) did not go unanswered. With Calhoun in mind, Webster gave his famous Seventh of March speech on the part of the compromise party. 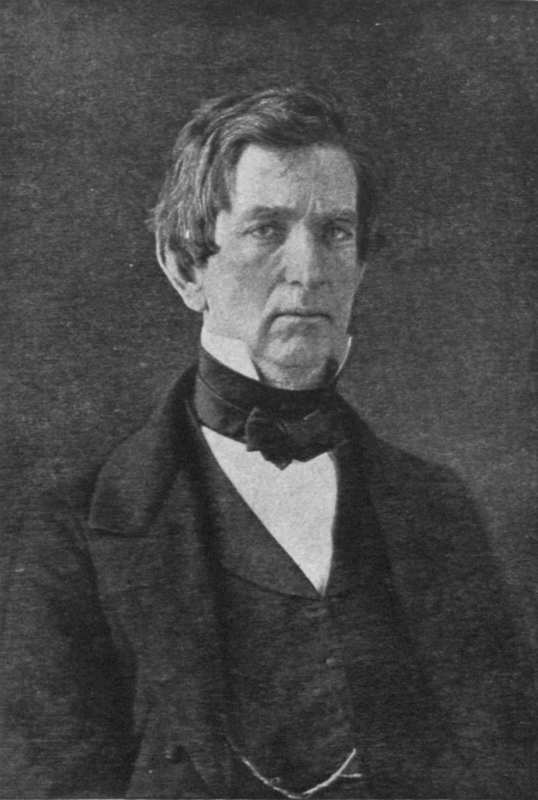 New York’s Senator William H. Seward, one of those Whigs who like Lincoln hoped Taylor would be with them on slavery, spoke for Calhoun’s opposites: anti-compromise Northerners. 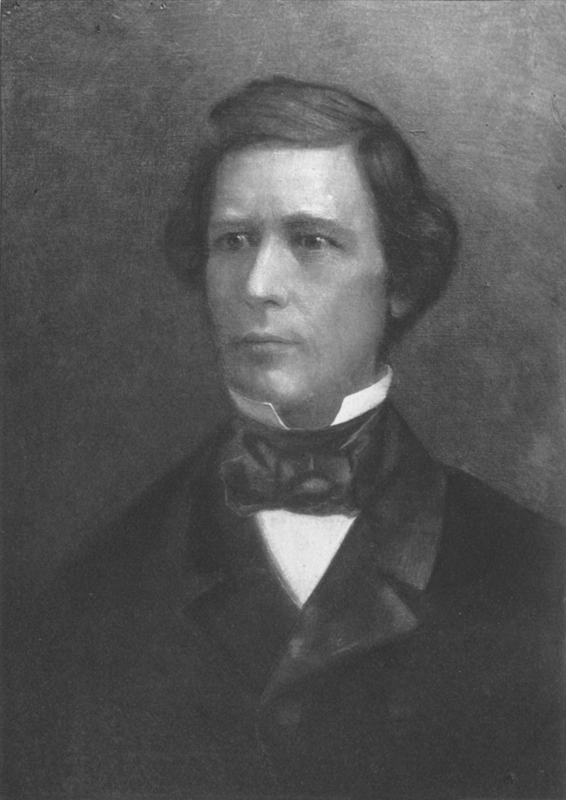 Elected in 1849, Seward spoke to the Senate for the first time on March 11, 1850. He spent weeks on the speech, hoping it might become the Northern answer to Calhoun. Seward spoke in a husky monotone, twirling his glasses as he read the words. The galleries emptied. Missouri’s Thomas Hart Benton read a book. Clay sat restless. Webster attended to matters elsewhere. Freshman senators giving their first speeches could hardly warrant rapt attention from those old hands. But history vindicated Seward. A Whig attacking a Whig-led movement for a Whig-crafted compromise required answering and the ensuing conflict divided Seward from his otherwise natural Whig allies while contributing the division of the party over slavery. Outside the Congress, the speech became a sensation. Newspapers reprinted it and 100,000 copies spread across the nation in pamphlet form. I deem it established, then, that the Constitution does not recognize property in man, but leaves that question, as between the states, to the law of nature and of nations. That law, as expounded by Vattel, is founded on the reason of things. When God had created the earth, with its wonderful adaptations, He gave dominion over it to man, absolute human dominion. The title of that dominion, thus bestowed, would have been incomplete, if the lord of all terrestrial things could himself have been the property of his fellow- man. One could make much of the religious language, but Seward did not require religion to see the evil of slavery. He grew up in a slaveholding home and so had ample opportunity to see it firsthand. Calhoun, of course, grew up in a slaveholding home and saw just the opposite, what he called the positive good of slavery. Like Seward, he drew his position in legal, philosophical, and theological language. I raise this point because often in discussing the influence of religion in politics only the parts of that influence the speaker agrees with receive mention. All parties claimed the side of the True Faith, whichever they had at hand. I have no squeamish sensitiveness upon the subject of slavery, no morbid sympathy for the slave. Yes, sir, of two-fifths, but only of two-fifths; leaving still three-fifths; leaving the slave still an inhabitant, a person, a living, breathing, moving, reasoning, immortal man. In not even five years, the South’s bête noire progressed from one man who opposed slavery on the grounds only that it threatened white prosperity to another man who openly and repeatedly declared it immoral and contrary to religion. And unlike Wilmot, Seward had the friendship and ear of the new president. This entry was posted in Road to War and tagged Antislavery, Seward, Taylor, The North, Whigs, Wilmot Proviso.